High End New Construction at a very fair Price!! Beautiful Craftsman Style Modern interiors features spacious 3 bedrooms 2.5 baths with high end barn shower doors, all electrical is high efficiency LED recessed lighting and wide plank laminated flooring through out. Solid kitchen cabinets soft closing drawers farmers sink and quartz counter tops lazy susan. All new windows HVAC all american made plumbing fixtures porcelain tile in all bathrooms and kitchen oversize 2 car garage interior walls completely finish insulated garage doors. private patio in each unit with gas lines for a barbecue all of this for a low sales price!! 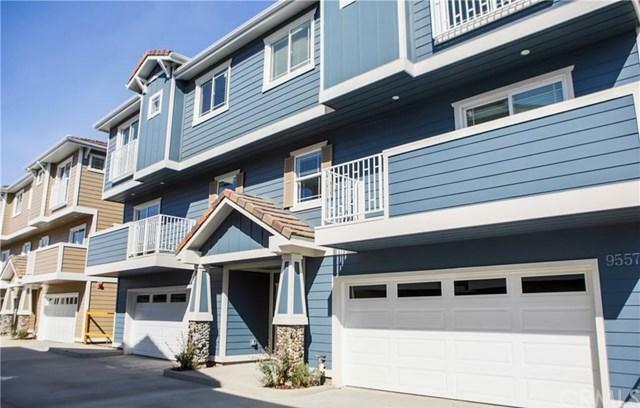 Very low monthly HOA conveniently located close to everything walking distance to Stone wood Mall minutes from Downey Landing and the Promenade shops movie theater, restaurants, walking distance to Rio San Gabriel Elementary, Doty Middle School and Downey High!! Show and Sale!